Ever since discovering my beloved Tangle Teezer all those years ago (review here), I honestly never thought I would want for another hairbrush. The 'Teezer seemed to do everything - get through my ever-so-present knots and leave my hair looking smooth and, you know, like it's been brushed (trust me, most brushes don't do this). However, as the time has passed I've slowly fallen out of love with my Tangle Teezer. I felt like it wasn't really doing what it had claimed to do anymore - yes, it leaves my hair looking brushed, but underneath the layers of smoothness hides knots, tangles and many unhappy a hair. I persevered with it though, as it was still the best brush I'd come across... before now. Enter The Wet Brush. A couple of months ago I was sent this brush unexpectedly and fell in love with it almost immediately. At first glance it looks like your average, run-of-the-mill hairbrush, but when you use it you because to realise just how magical this brush is. This brush glides through my hair like no other, it never pulls and it always leaves my hair looking smooth and soft. It gets through my matted, knotty, hellish post-shower hair an absolute treat, and works just as well on dry hair. I couldn't quite believe that such a seemingly normal-looking brush could work this well, so I thought I'd better read up about the science behind this badass brush and fill you guys in. 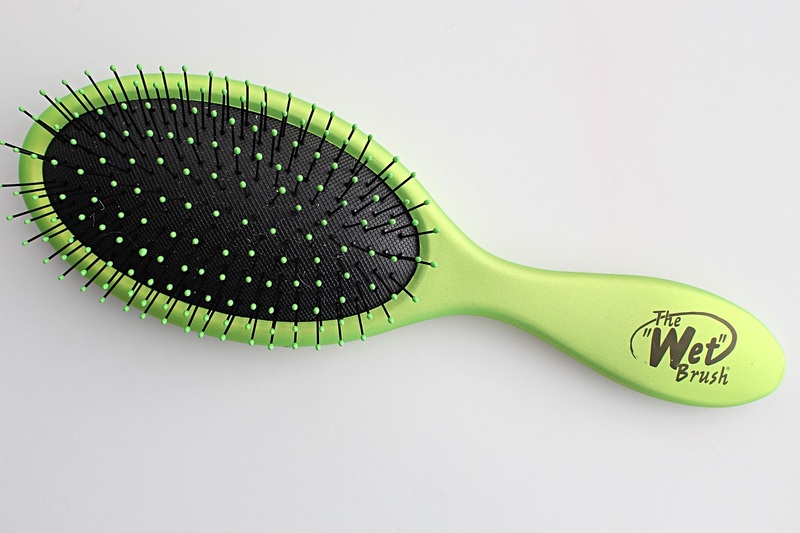 Basically, the reason this brush works so incredibly well is because its bristles are of the IntelliFlex variety, which means they're extremely flexible and move with your hair, not against it, and so are really gentle on the scalp. As well as this, they bounce back with each stroke, eliminating any breakage (and the god-awful pain we all know so well) that you usually get when brushing through knots. 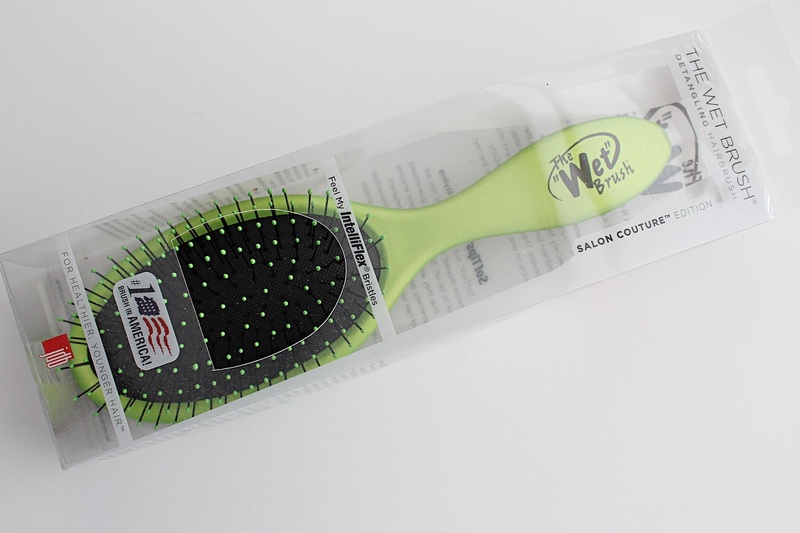 The SofTips on the brush work to massage the scalp and stimulate circulation - thus helping your hair grow. A must-have brush for aspiring Rapunzels! Overall I am delighted with this brush and I always choose it over my Tangle Teezer - something I thought I would never do. The brush does everything I want from a brush and more, and I don't feel guilty using it on my wet hair - as that's what it's designed for! It's also meant to be great on hair extensions (real or synthetic) which is always a bonus. Like the Tangle Teezer, this brush is around the £11.99 mark, although I did find it online for £8.99 here. It's available in a plethora of colours and I honestly recommend this to anyone who struggles with knotty hair - it is the BEST. 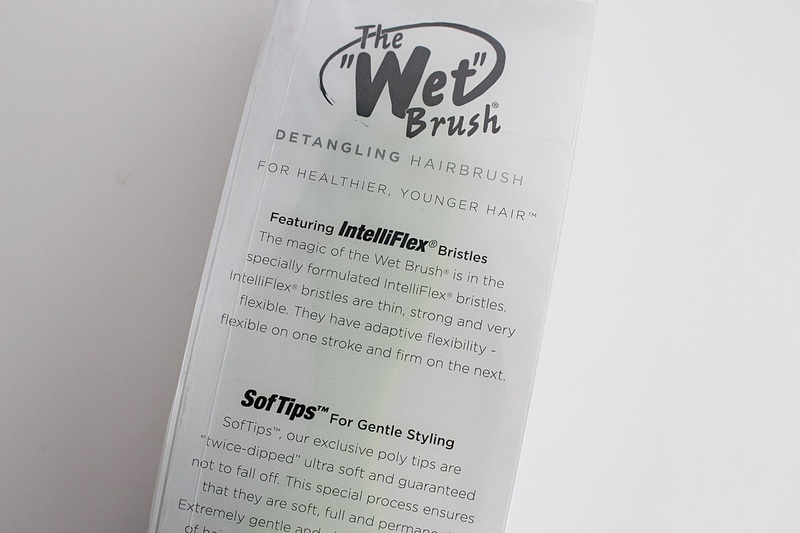 Have you tried The Wet Brush yet?